Portuguese cuisine is a delicious medley of flavor and flair. This 3-hour food and wine tour of Lisbon gives you the opportunity to visit eateries off the beaten track, in order to sample authentic Portuguese cuisine. Alongside your guide, you’ll feast on tapas, sweet pastries, and creamy cheese, accompanied by fine wine produced in the region. Learn about the history and culinary culture of Lisbon and enjoy an intimate atmosphere on this small-group tour, limited to 12 people. Dinner, food, and wine samples are included. 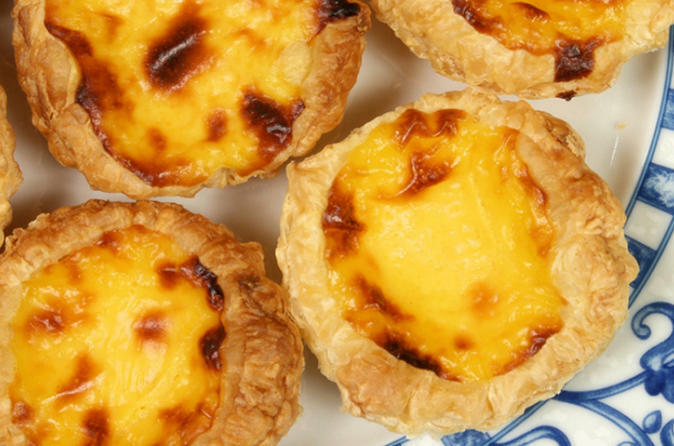 In the early evening, greet your guide at Rossio Square and receive an overview of Lisbon’s culinary scene. Here the fundamental principles behind Portuguese gastronomy as you walk to the first of your gastronomic destinations. Over the course of the evening, you’ll visit multiple bars to taste Portuguese small plates, fine wine, cheese and sweet pastry. Your evening culminates with a dinner of classic Portuguese dishes in a local restaurant, where you’ll bid your guide farewell at the end of the evening.